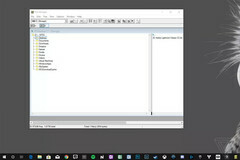 Microsoft has released the source code for the original Windows File Manager that debuted nearly 28 years ago in Windows 3.0. The source code has been modified a bit to make it compatible with modern Windows versions and can be downloaded via GitHub and compiled using Visual Studio 2015 and above. Nothing brings more delight than revisiting a piece of software from the early days of computing. Making its debut in Windows 3.0, Program Manager provided a GUI for performing file/folder operations in a primarily command-line DOS environment. Since then, Program Manager developed into the Windows File Manager (winfile.exe), which was included in Windows 95 and NT 4.0 onwards. Although Windows Explorer has replaced the File Manager, the executable was still available for those who wished to use it. Now, Microsoft veteran Craig Wittenberg has released the source code for the Windows NT 4.0 version of File Manager on GitHub. Anyone is free to modify and distribute the same as long as it complies with the MIT license. The source code can be downloaded and compiled using Visual Studio 2015 or 2017 and run in Windows 10. This version allows common file manager tasks such as drag/drop, cut, copy and paste, context menus, and more. An elevated command prompt can also be launched in the current directory by pressing Ctrl+Shift+K. While the program might not have any real usage these days, it serves to remind how efficacious backward compatibility has been with Windows to this date, which has been one of the main reasons for its success. It can also serve as an educational tool for new programmers to understand how code is written and possibly, develop their own fork of the software. You can download the source code at the GitHub link below and compile the executable on your own. You can also run a pre-compiled executable available here and relive computing from the bygone era.